Preserves were first product to utilize new identity. 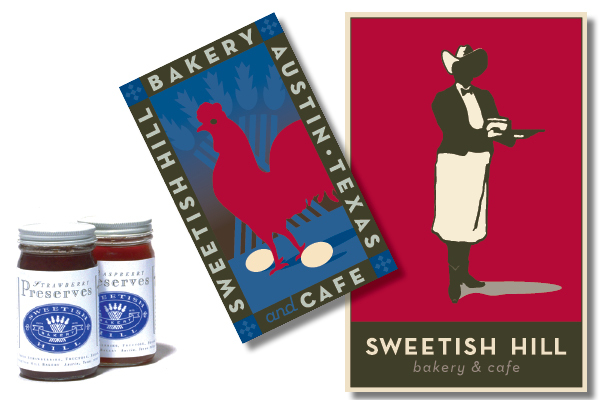 Posters were used for bakery retail interiors. Very large poster/banner was designed for retail trade shows. 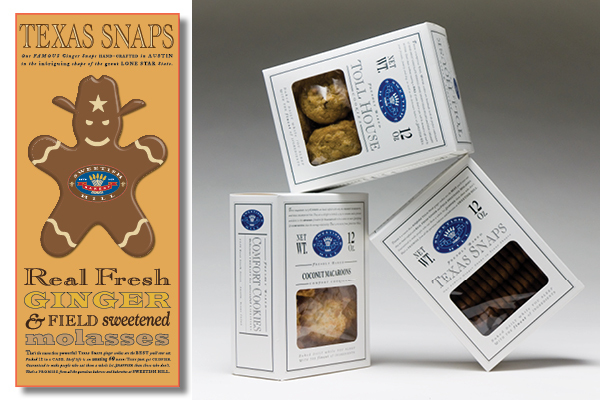 Early cookie box packaging used clean blue and white color theme as differentiator in cluttered cookie aisles of grocery stores.